Whether your plan is to self-publish or submit to a traditional publisher or agent, a new eye will always help. Have your manuscript appraised by authors who have been successful in today’s competitive market. 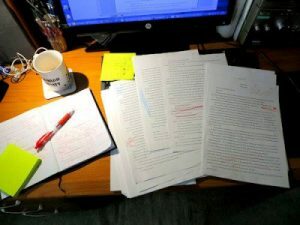 A manuscript appraisal will include detailed structural and story appraisal, with suggestions for change or improvements that will help make your manuscript publication ready. Alison offers appraisals of novels, novellas and short stories, as well as synopses and partial manuscripts. She is a qualified teacher and is happy to look at manuscripts in any genre, but is particularly interested in commercial women’s fiction, accessible literary fiction, comedy and romance. As an award winning author of small town series romance, Janet works with romantic manuscripts, commercial women’s fiction and series fiction. As a life-long reader and occasional writer of fantasy and science fiction, she’s always happy to dive back into that genre too.